We head outdoors to flee from the noise. To relax, reclaim, regain, and rejuvenate. If you find peace at the bottom of a coffee cup—know that you can continue your morning ritual despite your location. Our friends at Kuju Coffee and CamelBak have perfected the single-serve coffee game. Whether you’re looking to save precious ounces or just looking to warm up on those chilly, crisp mornings—Kuju Coffee makes it easy to capture those unforgettable moments. 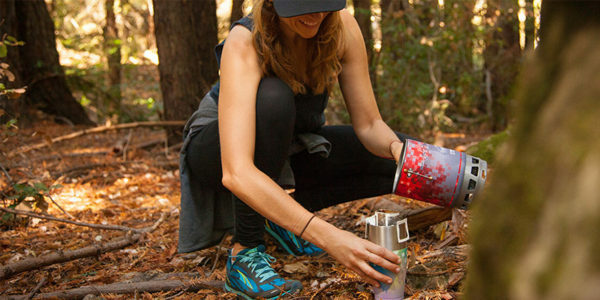 Simply boil water in your Camp Chef Stryker Stove, anchor your single-serve pouch in your CamelBak Travel Mug, and pour. You’ll never sacrifice flavor for convenience when you’ve packed your Kuju Coffee, Camp Chef, and CamelBak on your next adventure. 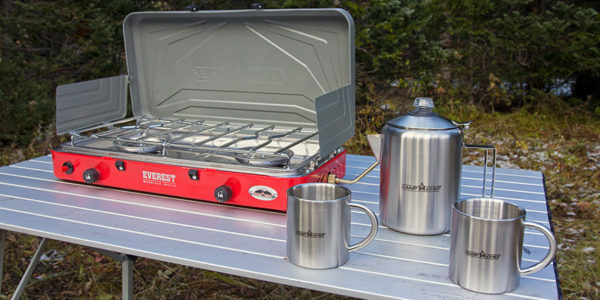 If you’re on an extended camping trip and have the room for equipment be sure to pick up the Java Coffee Set and a camp stove. The five-piece stainless-steel coffee set has an easy pour spout, a hinged lid, and a shatter resistance percolator. Share the love with the included four insulated mugs to keep your cup of joe warm, longer. Fire up your portable camp stove, fill your pot, and heat for 10 minutes. Brew up to 8 cups and stay toasty all morning long. There’s no need to settle for watered-down, bland coffee when you’re in the heart of the wilderness. Slow down, enjoy the moment, and take pride in brewing a steaming cup of joe. 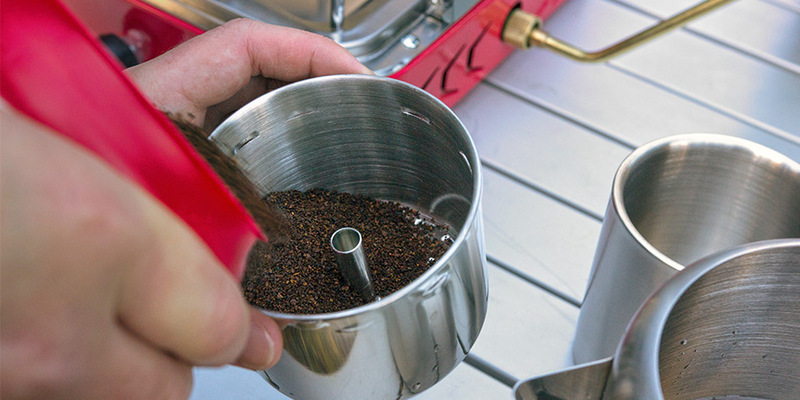 How do you brew coffee when camping/backpacking? Let us know in the comment section below.